Angular 2 now uses one-way data binding, just like React, to improve the performance of single-page applications. But Angular has also retained two-way data binding for form elements. With the ngModel directive and banana-in-a-box syntax, your web app can simultaneously update the View and the Model, just like you did before with AngularJS. Another great feature of Angular 2 is its friendly relationship with Polymer.js – another Google invention, and one of the first libraries that implemented the Web Components specifications. You can wrap Polymer components into Angular 2 components and use them in your app. This is quite convenient. So if you’re coming from the Polymer community, pay attention to Angular 2. Ember.js is a web application framework using Handlebars templates and web components to allow the development of feature-rich applications. 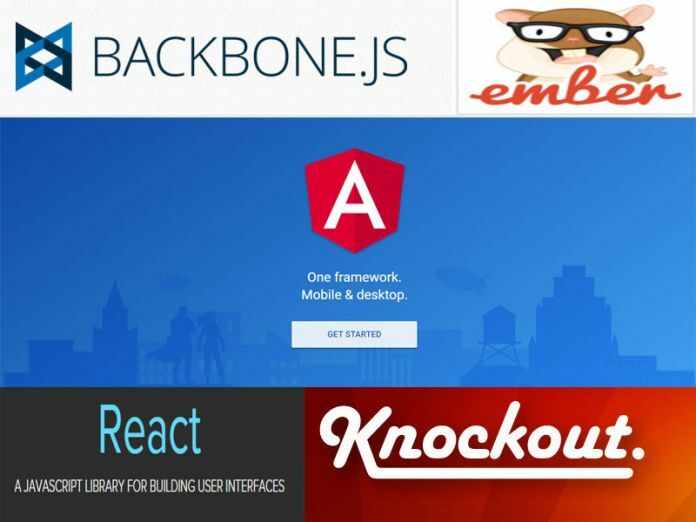 Ember.js focuses on creating graphics and it can also be very helpful for developers who want to develop wonderful and capturing front end. PolymerJS was released in 2013 by Google. It uses the concept of web components with an objective to extend HTML capabilities. If that reminds you of Angular, it’s intentional. Polymer uses the concept of web components to extend HTML capabilities. VueJS is new, and it is gaining popularity among the web developers. VueJS was first released in 2014 as open source framework for public use under MIT license. This framework works on model-view-ViewModel (MVVM) architecture design pattern. It has data–reactive components with easy and compatible API. Vue is for developing and creating modern and sleek web interfaces.Vue is inspired by AngularJS, ReactiveJs, knockoutJS and RivetsJS. Aurelia is an open source modern framework for the client-side web, desktop, and mobile development. Aurelia is composed of smaller, focused modules that allow developers to build a custom solution or use it as a full-fledged framework. AureliaJS is the creation of Rob Eisenberg and the team who come mostly from the world of Angular and Durandal.